Lightning and power surges can permanently ruin your electronic equipment. Changes in voltage cause lockups and loss of work. This unit will protect your equipment from the threat of bad power. 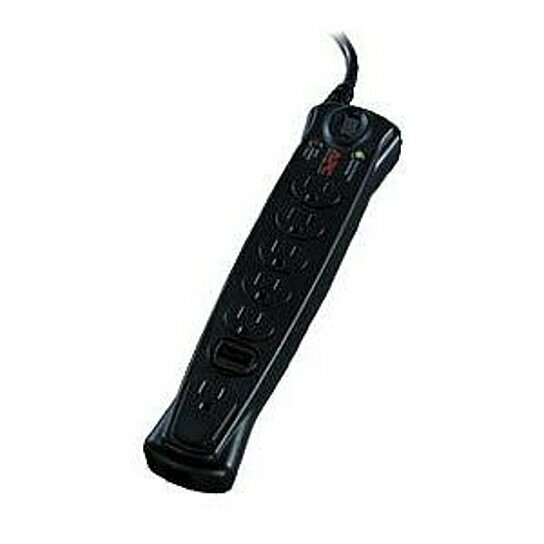 The SurgeArrest Essential 7 Outlet Surge Suppressor offers a great value for home equipment and business applications such as small office/home computers.